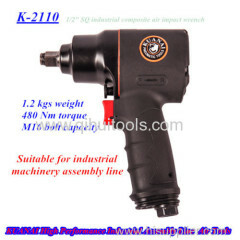 *Apply to machinery,vehicles,motorcycles and other industry assembly and repair. 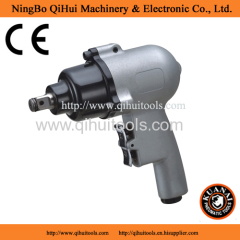 Square drive (inch)	1/2" or 3/8"
twin hammer mechanism . 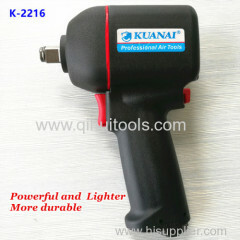 max torque 430Nm , capacity bolt size : 10-18mm, 1.4kgs net weight . 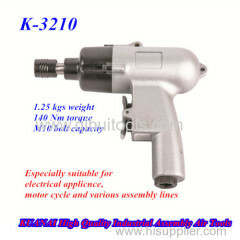 carton size :235*335*550mm/10pcs. 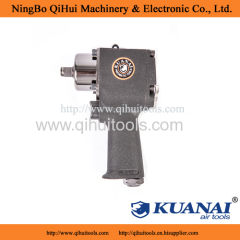 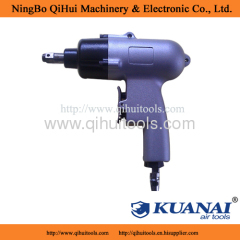 Square Drive : 1/2" or 3/8"
Group of Air Impact Wrench 3/8 inch Square Drive has been presented above, want more	Air Impact Wrench 3/8 inch Square Drive and 3/8" light weight Composite Industrial Air Impact Wrench, Please Contact Us.